Yesterday, in my post “The hard truth about software“, I highlighted PhotoScape as a good piece of free software which will meet the needs of most budding photographers. It is intuitive and simple to use, but it has its limitations. Today, I want to highlight another good free option, which is a more serious contender as a competitor to Adobe’s more expensive options – the unfortunately named GIMP (the GNU Image Manipulation Program). GIMP is a much more complex program than PhotoScape, and as such it can be a little bit harder to find your way around. It has a number of features which are comparable to Adobe’s Photoshop suite, such as the ability to use layers, to manipulate sections of the image selectively using lasso tools and to carry out levels and importantly curves adjustments. 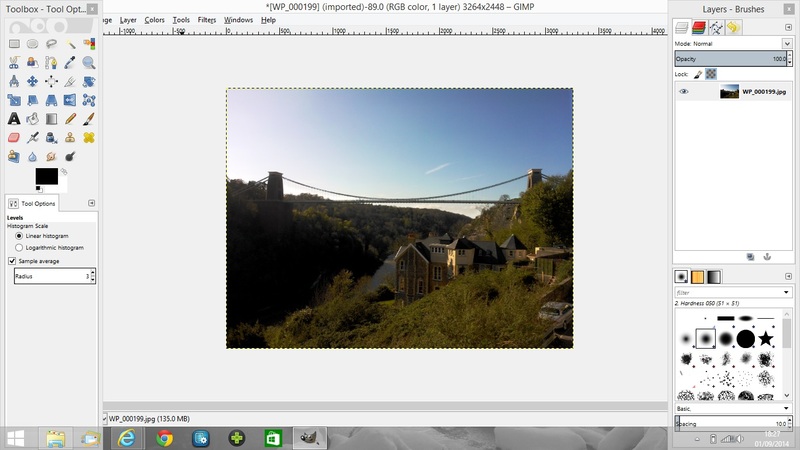 It is therefore a far more complete overall image editor. Unfortunately, in my eyes, it’s similarity to PhotoShop leads to one of its downfalls, because the way that you access all of these options is quite different, and therefore those who are used to using Adobe software can find it quite difficult switching between the two programs. This won’t be a problem at all, though, if you don’t have access to Photoshop to begin with! The problem can also be avoided by using a related free program – Gimpshop – an amended version of GIMP specifically set up to look, act and feel a lot more like Photoshop. Gimpshop has taken advantage of the open source nature of GIMP and has used its architecture to build out this rather astonishing piece of (presumably legal) plagiarism. I can’t claim to be an expert on using it – but if you’re looking for a free Photoshop alternative, it would be totally remiss of me not to highlight this particular piece of software. I will probably return to the subject of software in later blogs – but for now, I think that’s a good place to start. I would love to see some of your “before and afters”, to hear your experience using these programs and any other alternatives. Please feel free to share!